Ever since I was a kid and learned how to bake, Christmas revolved around 1 cookie! The chocolate crinkle cookie. Not only does this cookie embody Christmas for me and my family, it is damn delicious! 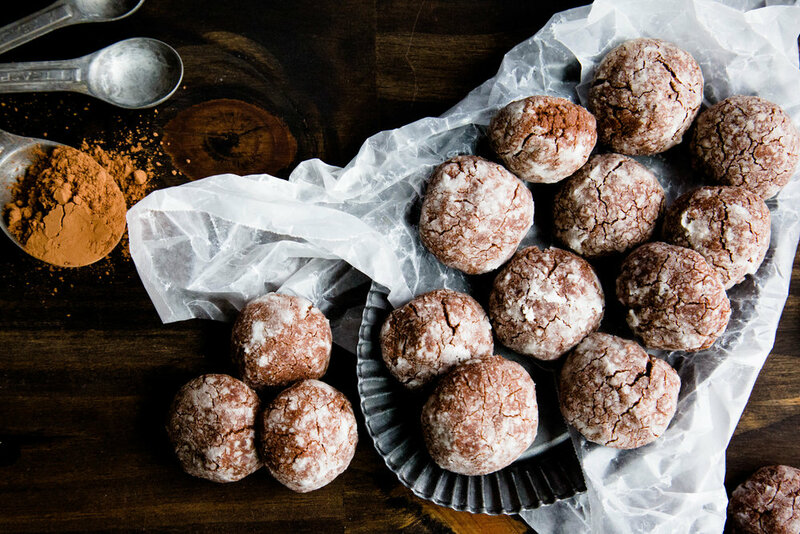 You roll them in powdered sugar and when they bake they create these beautiful crinkles! Hence the name! I love to add hazelnut butter to my recipe! Nut butter adds a richness in flavor and a delicious crumble to the texture of this recipe! My all time hazelnut butter brand is Justin's! Their recipe is dairy free and taste even better than nutella! 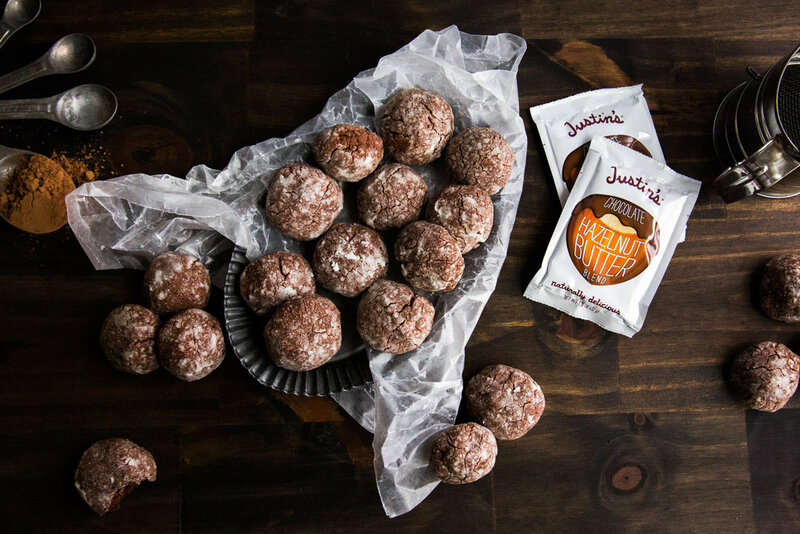 Thank you to Justin's for sending me the best package to bake with this holiday season! 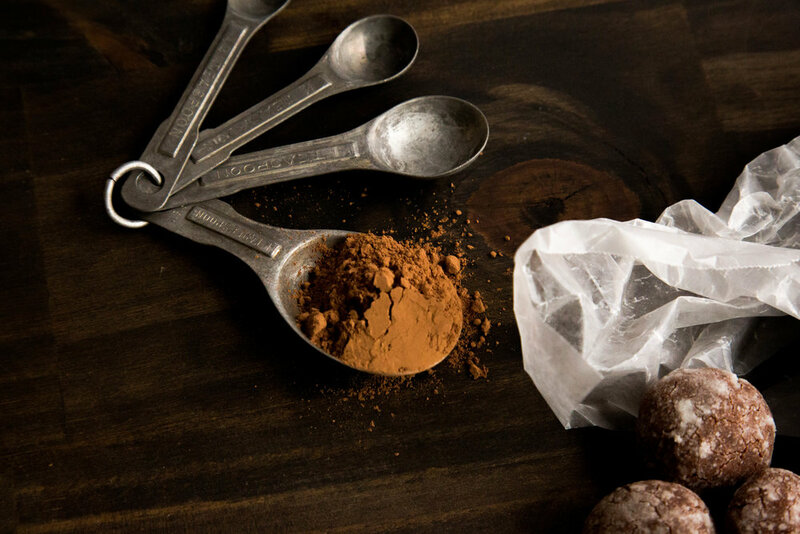 Quality cocoa powder is also key! It adds the depth to the cookies that you need for chocolate cookies! By adding different chocolates with the cocoa powder and the hazelnut butter you add two levels of flavor that makes the sweetness pop! I mean HELLO YUM! Try these out this holiday!